HAUS Salon partnered once again with The American Refugee Committee (ARC) in Thailand. Gender-based domestic violence is a worldwide issue and as hairdressers we create a safe place for people to open up about their experiences with it. The ARC serves to train hairdressers living and working in a Thailand refugee camp to spot signs of domestic violence and to offer victims the resources they need to get help. In early 2016, HAUS co-founder Charlie Brackney Love led a team of HAUS volunteers on an inaugural trip to Thailand to help give these hairstylists new business skills and haircutting techniques to set this program up for success. We exceeded our fundraising goal and raised $33,367 to return in April 2017 with another team from HAUS Salon: Charlie Brackney Love and Stylist Director Natalie Hansen again, along with General Manager Mary Lucic, Colorist Lindsey Barr, and Stylist Sarah Navratil traveled to Thailand to expand this important program to a new group of hairdressers. Take some time to look through the photos from the 4-day session below. Click on Days 1 through 4 to see photos from their incredible life-changing experience with fellow hairstylists from across the world. The HAUS Salon team had the opportunity to visit the American Refugee Committee office in Bangkok and to meet Country Director Fifi Sabang. Fifi is an ARC hero. For two years she led the South Sudan team through war to keep providing services even during violence. Now she's leading the Southeast Asia team. It was an honor to meet her! They were so happy to meet Chitlada and Rachel! Rachel is the Field Coordinator in Umphang and Chitlada is the Gender-Based Violence Manager who works with the Cut It Out hairdressers. She will be the leader for the team all week during the training sessions with hairdressers. Charlie and the team were testing out hair clippers hot tools at a hair supply store in Mae Sot. HAUS Salon is donating clippers, curling irons, flat irons, and other hair tools that require electricity. When these are bought in Thailand, the don't need a converter to work unlike tools they would have brought from Minneapolis. And they're off! 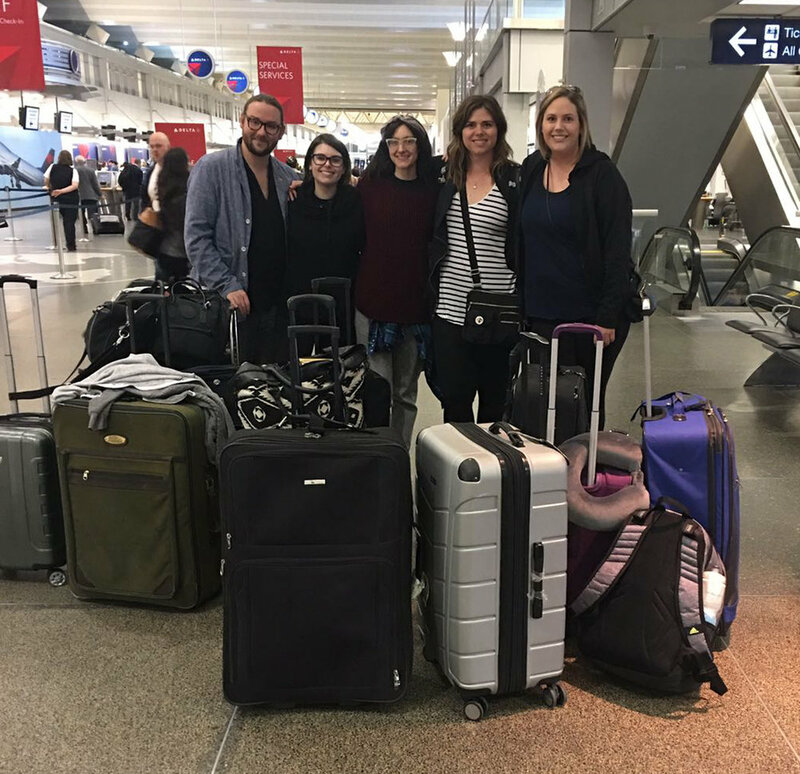 The HAUS Salon team left Minneapolis for Thailand with all of the supplies they'll need to launch another successful program for hairdressers in Thailand. We wish them a safe and fruitful journey! How did we raise over $33,000 for the American Refugee Committee and our Thailand partnership? Read all about it here.